SIDE EFFECTS: Nausea, vomiting, loss of appetite, diarrhea, constipation, upset stomach, gas, headache, and weight gain may occur. If any of these effects persist or worsen, notify your doctor or pharmacist promptly. An empty tablet shell may appear in your stool. This is harmless. Remember that your doctor has prescribed this medication because he or she has judged that the benefit to you is greater than the risk of side effects. Many people using this medication do not have serious side effects. Tell your doctor immediately if any of these highly unlikely but very serious side effects occur: persistent sore throat or fever, easy bleeding or bruising, stomach pain, yellowing eyes or skin, dark urine, unusual tiredness or weakness, unusual or sudden weight gain, mental/mood changes, swelling of the hands or feet, seizures. 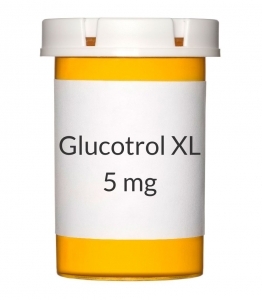 This medication can cause low blood sugar (hypoglycemia). This effect may occur if you do not consume enough calories (from food, juices, fruit, etc.). The symptoms include chills, cold sweat, blurred vision, dizziness, drowsiness, shaking, rapid heart rate, weakness, headache, fainting, tingling of the hands or feet, or hunger. It is a good habit to carry glucose tablets or gel to treat low blood sugar. If you are in a situation where you don't have these reliable forms of glucose, eat a quick source of sugar such as table sugar, honey, or candy, or drink a glass of orange juice or non-diet soda to quickly raise your blood sugar level. Tell your doctor immediately about the reaction. To help prevent hypoglycemia, eat meals on a regular schedule and do not skip meals. Symptoms of high blood sugar (hyperglycemia) include thirst, increased urination, confusion, drowsiness, flushing, rapid breathing, or fruity breath odor. If these symptoms occur, tell your doctor immediately. Your medication dosage may need to be increased. A serious allergic reaction to this drug is unlikely, but seek immediate medical attention if it occurs. Symptoms of a serious allergic reaction include: rash, itching/swelling (especially of the face/tongue/throat), dizziness, trouble breathing. This is not a complete list of possible side effects. If you notice other effects not listed above, contact your doctor or pharmacist. In the US - Call your doctor for medical advice about side effects. You may report side effects to FDA at 1-800-FDA-1088. In Canada - Call your doctor for medical advice about side effects. You may report side effects to Health Canada at 1-866-234-2345.